Zapped! A zap that takes the cake! Discussion in 'Pin Zaps & Swaps' started by watzshakinbacon, Apr 12, 2019 at 8:47 PM. 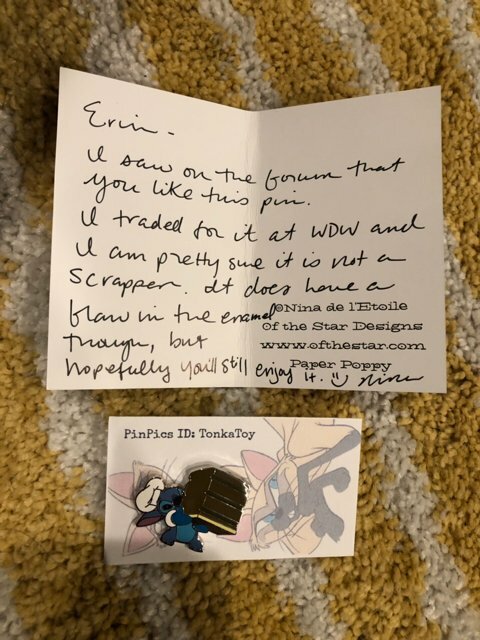 My fiancé texted me that I got some pin mail from Ohio, which I wasn’t expecting. Was still confused since I didn’t recognize the name but what a pleasant surprise! It’s so cute! Thank you, Nina!! TheMickeyMouseRules, Booger1964, mickeymousje and 6 others like this. That is so super cute! Congrats! Oh Wow! That is adorable ~ Congrats! What a nice surprise! Congrats! So cute! That's a great zap! TonkaToy Si & Am Lover! Glad you got it and LOVE it. Like I said, I am 99% sure it is an authentic pin, just think someone scratched the cake somewhere along the line - but still a nice pin! krand1276 and watzshakinbacon like this. Connies_Hobby and TonkaToy like this. I love that pin. Congrats on such an adorable zap. Such a cute zap, congrats!! Love it! And the opportunistic thought process.